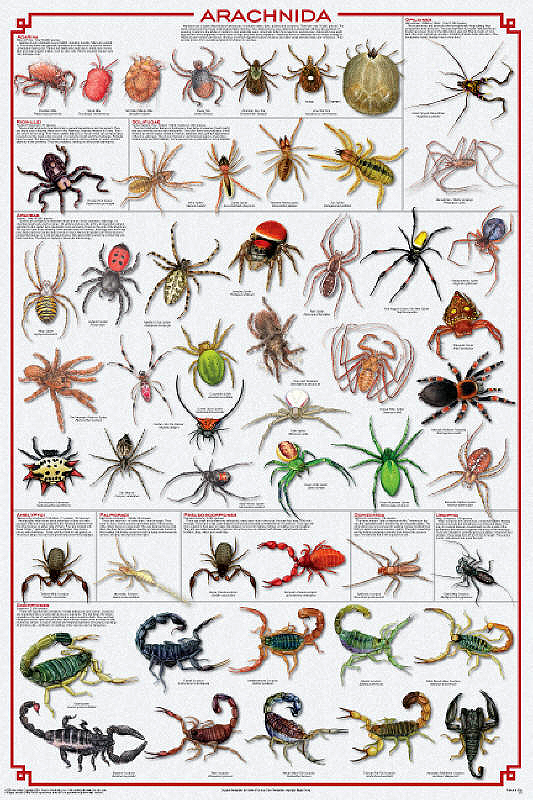 Arachnids differ from insects as they have eight legs. Insects have six. The title provides a comprehensive overview of the entire class / clade, which includes mites and tick, spiders, scorpions and other critters. Each group is introduced by informative text. An abundance of outstanding illustration show representative species.